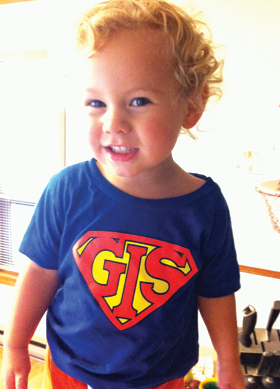 Two-year-old Elliot Wilson is wearing his favorite GIS t-shirt. His mother Alyson Marjerrison bought it for him at the Esri User Conference in San Diego this past July. Marjerrison works as a GIS technician for the town of Golden, British Columbia, Canada. 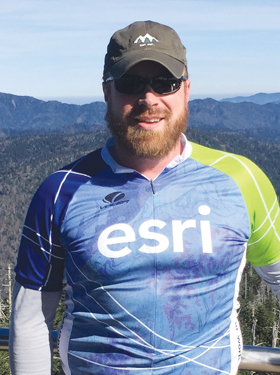 This picture of Blake Weber was taken during a rare clear day at the top of Clingmans Dome in Great Smoky Mountains National Park at the beginning of a quick trip he took along the Appalachian Trail. The day before his hike, the snow had let up and it started again as he was leaving the park. Weber works as a biostatistical research analyst for BlueCross BlueShield of Tennessee.